Something happened. Things just changed. Unnoticed by the Sri Lanka’s cosmopolitan civil society intelligentsia which was engaged in “much wailing and gnashing of teeth” (as the Bible has it), and “how many angels can dance on a pinhead” type disputations (convoluted and obfuscatory, with much lost in translation), the tectonic plates just shifted. The five post-war years were largely wasted because the South and North, the Sinhalese and Tamil political elites represented by the Government and the TNA adopted political postures that were exceedingly unrealistic but did not appear to be so. The mutual and shared unrealism was possible because of one factor and that factor has just changed; it no longer exists. Thus in an overarching, parabolic, strategic sense the worst may be over, though in a tactical sense things are bound to get worse, even much worse, before they get better. Mr Modi’s investiture ceremony and the attendance of eight top level delegations from the region restored South Asia’s status as a sub-system of the world system. Every system or subsystem has a centre and a periphery. In the second term of Dr Manmohan Singh, India as the centre of the South Asian subsystem was deactivated; almost dormant. To put it slightly differently, as a subsystem, South Asia had a de-activated centre and therefore seemed de-centered. It is in this context that actors on the periphery, including non-state actors, operated with an anomalous degree of autochthony, going off the charts, verging on soft anarchy. With Mr Modi, South Asia’s centre has been reasserted. During the interregnum that was the second term of Dr Manmohan Singh, Sri Lankan ethno-politics were characterised by the following factors: the Sri Lankan Government froze political dialogue with the Tamils. The State proceeded on the basis of unilateralism. The Sinhalese tended to make believe that they had beaten the Tamils, not just the Tigers. The Southern hawks indulged in the fantasy of non-implementation of the 13thamendment. During the same interregnum, the Tamils for their part proceeded to make believe that the State hadn’t decisively won the war and that the political project of Tamil nationalism could remain unaffected by that outcome despite the fact that the Tamil political community had for the most part backed the Tigers. The Sinhala nationalists in and out of the State were engaged in denial that the Tamils were an ethnic minority whose right to provincial autonomy and self administration within and in accordance with the Sri Lankan constitution, enjoyed a large measure of consensus within the world community. The Tamil nationalists including the TNA fantasized that the world community could be leveraged to recognize qualitatively more than this status and right. The fantasy was that Tamils were not an ethnic minority whose rights included provincial autonomy and self-administration but were a nation which could insist on the right of self determination. The shared delusion was that there need be no commitment to the 13th amendment as the framework of negotiations. The Government/State thought it could be denied, diluted or dismembered. The Tamil nationalists thought it should not be accepted as the framework because it should and could be qualitatively exceeded. These aspirations/expectations were possible only within a specific balance of forces, or less charitably, in a near-vacuum: that of a weak centre in India. While t the Sinhala nationalists reassured themselves about the value of a China-Pakistan option, it also caused the Tamil nationalists to overestimate the value of Tamil Nadu and the Tamil Diaspora. Now that framework has been radically altered. With Mr Modi, India is back, and must be factored in significantly in the strategic calculus of its neighbours. The China-Pakistan option and the Tamil Nadu-Tamil Diaspora-Western option now need recalibrating by the Govt and the TNA. This is why the Sri Lankan leadership no longer has years to deliver on devolution (as promised to Delhi during the war and just after) but only several months, before the strategic crunch comes. Now the hawks, Sinhala and Tamil, can no longer fly as high as they did, because there is an eagle in the sky above them. The new reality will not mean an immediate change of behaviour on the part of the Sinhala and Tamil political players, because reality is perceived through the prism of ideology and emotion. There will be resistance, clashes and even a bloody backlash, before the acceptance of reality. Mr Wigneswaran made a mistake in responding the way he did to President Rajapaksa’s invitation to accompany the latter to New Delhi. Even if one were to concede everything that Mr Wigneswaran said and MrSampanthan echoed in his letter to the new Indian PM— and I see much truth in what they’ve said—the public refusal to go was as imprudent as Jayalalitha’s boycott of the investiture. I suspect that the first derived from the second. 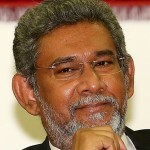 Imagine if Mr Wigneswaran had accepted President Rajapaksa’s invitation. As part of the delegation he would have been in the room when Prime Minister Modi brought up the need for the full and speedy implementation of the 13th amendment. In a different atmosphere a new triangular understanding could have been arrived at under Indian auspices and with an Indian guarantee. A page could have been turned. Whatever is believed in the Tamil Diaspora (and/or on Jaffna campus) the reality is that there is no two-state solution on the table, and therefore the TNA should not behave as if there is or should be. There is a one state solution; not even a one and half state solution which could become a two state solution. The corresponding reality that the power elite has to grasp is that that one state solution has to be of a reformed state; a devolved state. The strategic reality is that no military anywhere in the world would treat a sensitive ethnic periphery, a borderland, as anything but a top security priority. In a border area which has witnessed a full blown war and the tacit support at the least, of the populace for the secessionist terrorist militia, any military would insist on remaining vigilant. If such a periphery was adjacent to a huge zone of hostile co-ethnics (in this case Tamil Nadu), the strategic concern and vigilant security would be of long duration. In any part of the world, at any time of history, no military would withdraw from a borderland with such a background of a massive organized violent threat to the state, unless it had a guarantee that conditions have been durably created to prevent the re-emergence of such a challenge. The TNA’s election campaign which invoked Velupillai Prabhakaran did not provide such confidence, to put it mildly. Fast-track and full devolution in the aftermath of that campaign would have doubtless caused legitimate concern among the military as an institution. There will be no withdrawal of the Sri Lankan armed forces from the North in the foreseeable future, but there definitely has to be a negotiated and graduated shrinkage in the footprint of the security forces in that area. However, the reality on the ground in Sri Lanka is not the only strategic reality that there is. The Sri Lankan state has to realise that while there is certainly a legitimate hard power option, even a pre-emptive one—provided it is surgically targeted— against a Tiger revival, there is no hard power option against unarmed Tamil nationalism or even ultra-nationalism. Not with Big Brother back in South Asia and the Indian Ocean region. The China card just got geo-strategically smaller and the Pakistan card is a provocation. The Sino-Pak option that the hawks in the Sri Lankan State set store by is too small to be an effective deterrent and too large not to provoke a response. In the new situation that Sri Lanka finds itself in, the State has two options: either it fails to move forward on devolution and finds itself alone in the face of the US-UK offensive in the form of the ‘international inquiry’ buzz saw, or worse, gets itself in an Indo-US pincer. Or it can pivot to South Asia, with its reactivated natural centre, India, and use it as umbrella and shield. Of course this requires the expeditious and full implementation of the 13th amendment as Mr Modi seems to have explicitly called for. The Tamils and the TNA have a choice to make too. Tamil Nadu will never be as big as it was politically before Mr Modi came to town; the Tamil Diaspora will never be bigger than a resurgent India, and the West will never be bigger than India in South Asia —just as China will never be bigger than India in South Asia. What the TNA has to decide on, are politically existential questions: are you in the game or not? Are you the preeminent parliamentary party of the Sri Lankan Tamil community? Are you for the full and early implementation of the 13th amendment and going beyond it incrementally, in terms of the re-negotiation of the concurrent list, or do you stand instead for nothing less than full fledged federalism? Are you keen on convincing a majority of the majority on the island— the Sinhalese— or are they peripheral to your calculus and are you focused instead on the Tamil Diaspora and pan-Tamil sentiment including that of Tamil nadu? Is yours a choice of participation and presence while pressing your legitimate claims, or are you a party of boycotts? Are you part, albeit a radically dissentient and reformist part, of the Sri Lankan democratic mainstream or do you continue to engage in political theatre and rhetoric from the enclave—the ghetto— of Pan-Tamilianism, globalized though that ghetto may be, encompassing as it does significant swathes of the Diaspora? The Sri Lankan state must not toy with the kind of radical reforms that saw the undoing of the USSR under Gorbachev and Yeltsin. That state and Yugoslavia as well cracked up precisely along the lines of recognised nationhood and self determination, however nominal that recognition was. That is why China, Vietnam and Asian states in general do not make that mistake. Nowhere in Asia is any ‘nation’ or ‘right of national self determination’ recognised within the country’s borders. Montesquieu’s sense of ‘the spirit of the laws’ will explain why federalism goes against the grain in many societies. Though any progressive must stand foursquare with Tom Paine in his polemic against Edmund Burke in defence of the French Revolution, Burke was insightful when he urged that reform must work with the warp and woof of a society rather than against it. This explains why Chandrika Bandaranaike Kumaratunga’s ‘union of regions’ package/s not merely failed but resulted in the rapid growth of the JVP and JHU, finally toppling Ranil Wickremesinghe, bringing CBK’s tenure to an undistinguished close and opening space for Mahinda Rajapaksa. Luckily for Sri Lanka, Mr Modi’s BJP is allergic to the ‘two nation’ theory which partitioned India and even has doubts about Article 370 which accords a special status to Kashmir. The Sri Lankan state cannot be multi-polar or bi-polar; the island is too small and vulnerable, lacking strategic depth. That is the geopolitical reality. Sri Lanka fought a Thirty Years War to defeat such bi-polarity as had been established in the North-east. Any project which leads to a bi-polar Sri Lanka with the North as a separate and equal power centre, will trigger an armed response by the State, and if not, by radical non-state actors as in the 1980s. Does anyone want that? While it may have local autonomy and thus autonomous provincial/regional administrations, no unitary state has more Governments than one. Any push for the abandonment of the unitary state and the recognition of self determination for/of a Tamil nation on Sri Lankan soil will only catalyze an Egyptian-Thai outcome—and it will be popularly endorsed, just as the Egyptian endgame is. 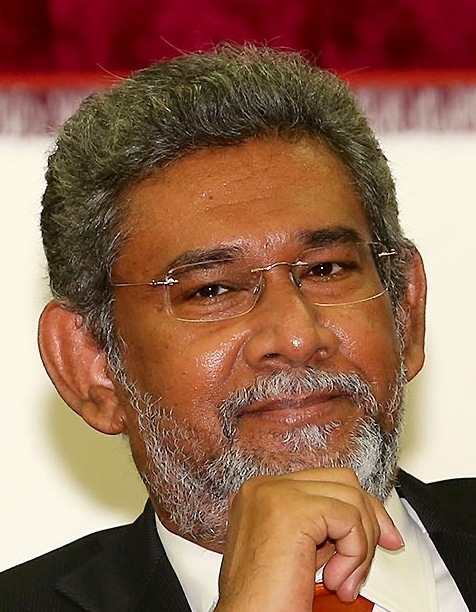 This may in turn catalyze external intervention which hives off the Tamil majority North but will consign everyone living in the other two thirds of the island to a protracted Praetorian purgatory which makes the current Rajapaksa government, Mahinda Rajapaksa’s presidency, seem a capacious democratic space which we shall be happy to retrieve! Does anyone really want two thirds of Sri Lanka to turn into Pakistan before Nawaz Sharif made his comeback or Burma/Myanmar before the military junta decided it was both imperative and safe enough to retrench? The bottom line is that if the State and the Tamil nationalists remain delusional and unable to manage centre-periphery relations, Mr Modi’s India will feel compelled to balance between the two and nudge, prod or push both sides to a Middle Path and a saddle-point settlement. Both the Sinhala and Tamil political elites have to reckon with the reality of the return of the regional Leviathan, which means leaving behind the priority and preference that each side has for the extra-regional (US-UK, Tamil Diaspora, China, Israel) and the sub-regional (Tamil Nadu, Pakistan).